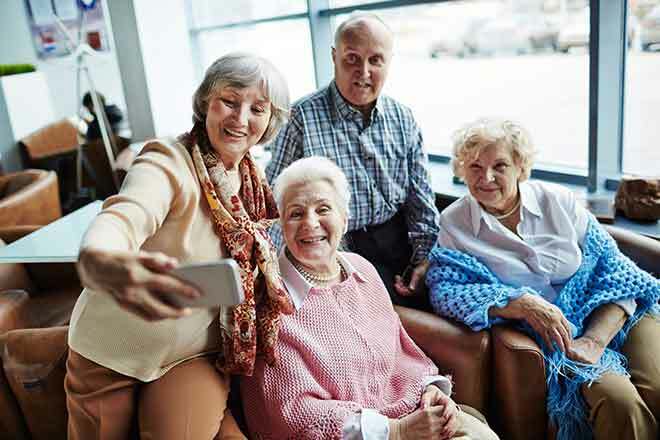 "Anyone who thinks they can ease up on dental care as they age is making a big mistake," says Dr. Harold Katz, a dentist, bacteriologist and developer of TheraBreath Healthy Gums Oral Rinse. "Not only do poor dental habits affect what's going on in your mouth, they also affect your overall health." Tooth loss. Nearly one in five adults aged 65 or older have lost all of their teeth. Complete tooth loss is twice as prevalent among adults aged 75 and older (26 percent) compared with adults aged 65 to 74 (13 percent). The CDC points out that having missing teeth, or wearing dentures, can have a detrimental effect on nutrition. "It's not surprising that people who have lost teeth, or wear denture, often are going to choose soft food they chew easily," Katz says. "They will pass up fresh fruits and vegetables that are more nutritious but are more difficult for them to eat." Oral cancer. Cancers of the mouth (oral and pharyngeal cancers) are primarily diagnosed in older adults; median age at diagnosis is 62 years. "That's another reason it's important for older people to have regular checkups," Katz says. "Your dentist can check for signs of oral cancer during those visits." Dry mouth caused by medications. Most older Americans take both prescription and over-the-counter drugs, many of which can cause dry mouth. Reduced saliva flow increases the risk of cavities. Saliva helps prevent tooth decay, gum disease and bad breath, and also lubricates the mouth, making it easier to eat, swallow, speak and taste food. "Sometimes dry mouth might just cause mild discomfort," Katz says. "At other times it can lead to significant oral disease that can compromise the person's health, dietary intake and quality of life." "As you age, proper oral care is just as important as ever," Katz says. "It's not something you want to ignore because your overall health is at stake."